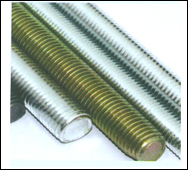 Our company offers a wide range of GI threaded rod and fastener that are manufactured from top grade materials as per the international standards. 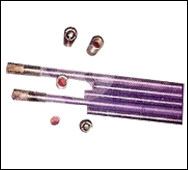 We offer these rods in various specifications as per the needs of our clients. Accurately designed, these full thread rods represent the perfect fusion of quality raw material and cutting edge technology. Widely used in several industries, these thread rods are available in various sizes and dimensions.